MK Eichler calls High Court decision letting woman be rabbinical courts manager 'a missile in the anti-religious artillery." Hareidi MK Yisrael Eichler (United Torah Judaism) lashed out at the Supreme Court after it ruled that women could be appointed as the managers of the Rabbinical Courts, deeming it "another missile in the feminist and anti-religious artillery of the High Court of Justice." "This is not just another administrative ruling," furmed Eichler. The High Court of Justice is biased towards the Reform Jews, the enemies of Judaism, and is working in the service of foreign funds." The Court had ruled that the manager of the Rabbinical Court system did not have to be a rabbiic judge, paving the way for women to potentially attain that position. 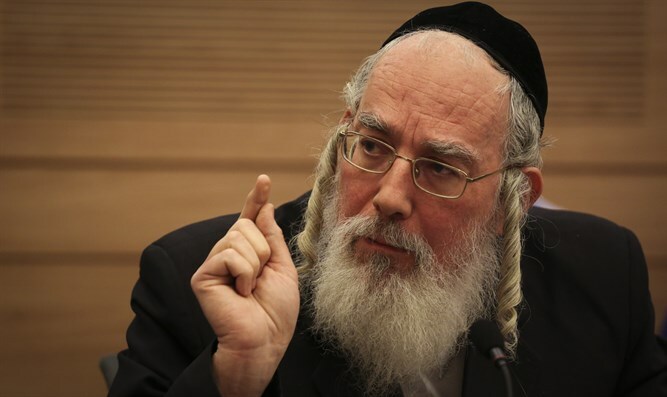 Deputy Supreme Court President Elyakim Rubinstein wrote in the ruling that "at a time when women occupy a place of honor in a variety of public service positions, it is inconceivable that appropriate representation will not be given in the management of the rabbinical courts."